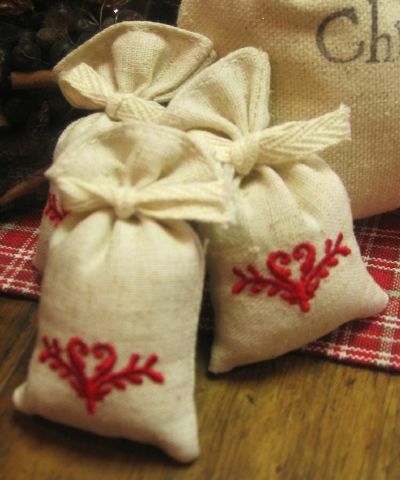 Linen bag containing Christmas spice scented pot pourri with cloves, cinnamon and dried berries. 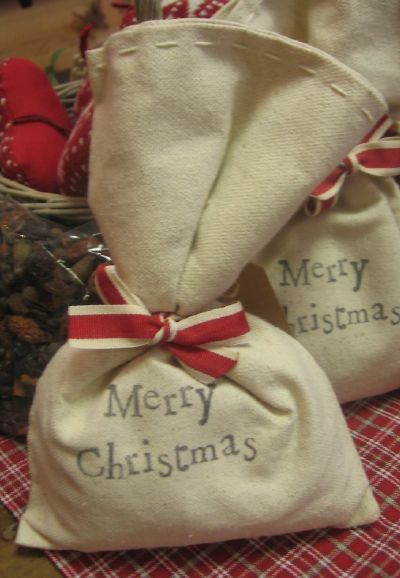 Bag reads "Marry Christmas" and is hand tied with ribbon. Little fabric bags hand tied with ribbon containing cranberry scent. 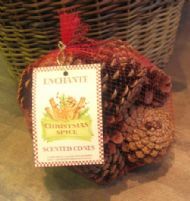 Bag of large Christmas scented pine cones. 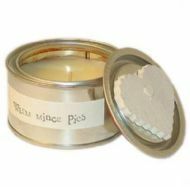 Scent will last at least 10 weeks. Approx 17 cones in each bag. 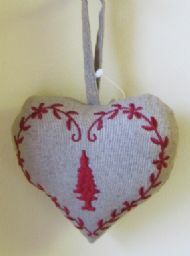 Embroidered linen heart to fill your home with beautiful Christmas scent. Tin filled with a rich scented candle. 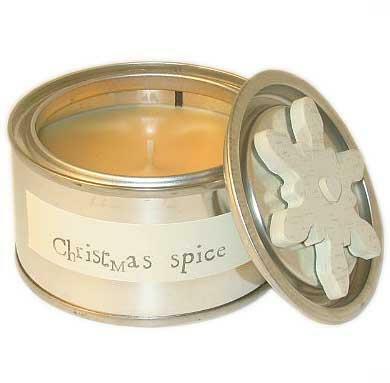 Tin filled with Christmas spice scented candle. Wooden heart detail on lid.